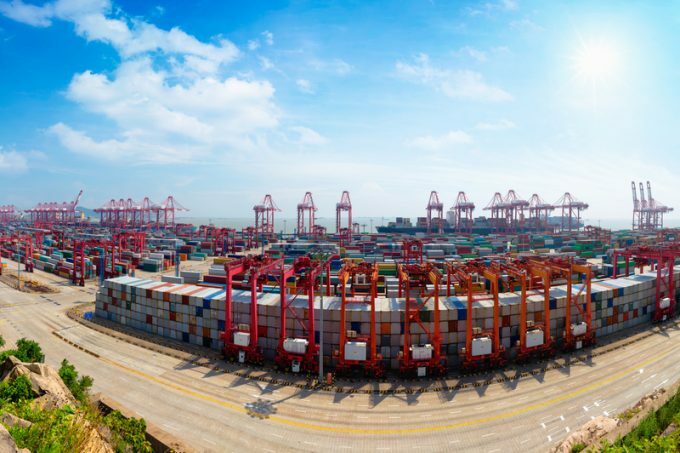 The Shanghai Containerized Freight Index (SCFI) slumped a further 5% this week to a composite rate of $735.91 per teu as spot rates surprisingly came under pressure ahead of the Chinese Golden Week holiday. The SCFI has been in steady decline in past weeks, falling some 16% since the end of July, despite reports of healthy peak season export load factors from China, and has slumped below the $780 composite index figure of a year ago. Patrik Berglund, chief executive of ocean freight rate benchmarking and data analyst Xeneta, said: “While utilisation remains at 90%-plus, rates have been dropping in the last six weeks and carriers seem to be cutting rates prior to China’s Golden Week in order to build market share during peak season. From Asia to North Europe, the SCFI recorded a fall of 4.6% for spot rates to North Europe, to $734 per teu, and for Mediterranean ports there was a drop of 2.9% to $709 per teu. And with the slack season fast approaching, carriers are cancelling sailings after the Chinese factory shutdown in an endeavour to stop rates tumbling below the $700 per teu watershed for North Europe. Meanwhile, on the transpacific trade, after a slight rebound last week the SCFI ticked down again, losing 6.4% from Asia to the US west coast, to $1,484 per 40ft, and 7.2% to US east coast ports to $2,105 per 40ft. And given the self-inflicted carnage of 2016, ocean carriers are now very sensitive about being seen as the only “rogues” in a recovering market. Indeed, a claim by maritime consultant Drewry that Hyundai Merchant Marine (HMM) had offered “steep discounts on freight rates to recover lost volumes” prompted a robust response from the South Korean carrier. HMM contacted The Loadstar last week to insist Drewry’s assertion was “not true”. The carrier said: “HMM did not offer any steeply lower freight rates than market price in order to recover the lost volume. Notwithstanding the downward pressure on spot rates, carriers are benefiting from significantly higher contract rates than 12 months ago. At the Institute of Chartered Shipbrokers London Branch seminar, during London International Shipping Week, Martin Dixon, director head of research products at Drewry, predicted that global container shipping rates would “keep rising”. Mr Dixon noted recent trends in contract rates, which included a year-on-year doubling of backhaul rates from Europe to Asia in the second quarter, and a 55% hike in Asia to US contract rates in the second quarter, over the first quarter.